SKU: N/A. Categories: Cat Medical, Medical. Tag: Paw Gentle Ear Cleaner. PAW Gentle Ear Cleaner is a natural, gentle ear cleaner that cleans without irritation. 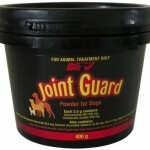 It only needs to be used once a week making it more comfortable for your pet and easier for you. Purified hydrolysed oats for a mild, product for cleaning your cat or dog’s ears. This easy-to-apply formulation means you only need to use this product once a week, making it easier for you and your pet. Purified water, glycerin (vegetable), surfactants, panthenol, preservative, sodium gluconate, sodium citrate, sodium hyaluronate, hydrolysed oats, citric acid, aloe barbadensis leaf juice, citrus orange oil, prioctone olamine, mandarin orange peel. It is available in a 120 ml bottle with a convenient applicator top. Use as directed by your veterinarian to clean your dog’s or cat’s ears. Always consult your veterinarian on your pet’s ear problems.